For the craft artist. Adjustable tilt drawing table (to 45°). 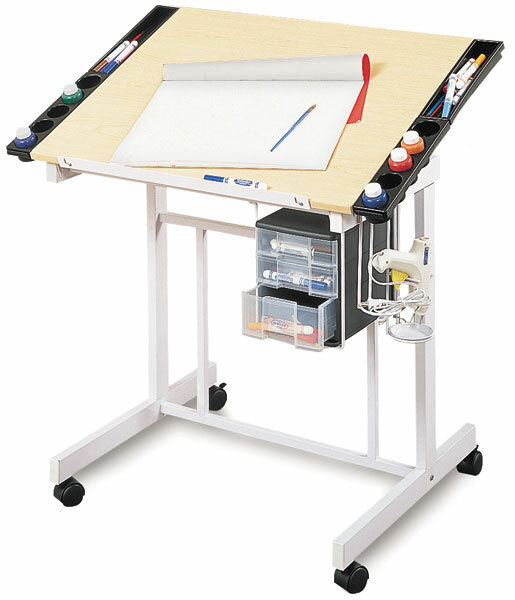 2 side trays hold paints and tools. 3 plastic slide-out drawers. Slide-up pencil tray and metal glue gun holder with a dip tray. Top size, 24" x 30".